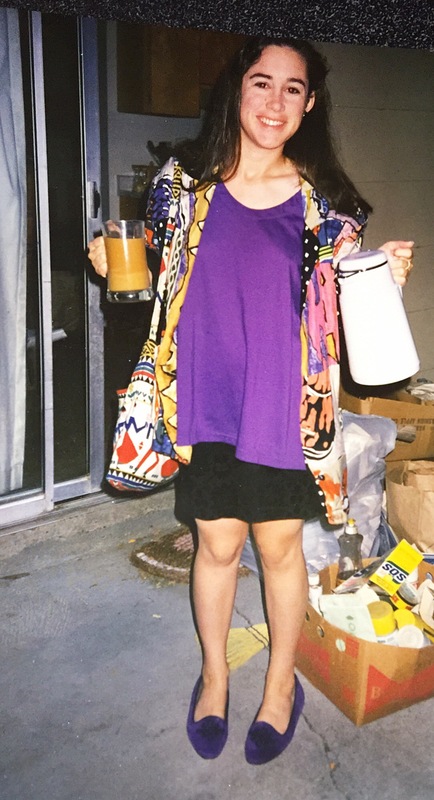 Me, heading out for my first day of teaching in 1991. Sounds exciting, right? It’s what every kid who played ‘school’ dreamed of- the day they would officially be a teacher and have their own classroom. For me, that was 25 years ago. I was young and excited and energetic and ready to teach English. Little did I know that I would really be expected to be excellent at everything. Don’t get me wrong – I’m a type-A, first-born, driven perfectionist type. I went to a well-respected college, studied hard and threw myself into every mediocre-minimum-wage job I had. I’m not afraid to put everything into my job. I just didn’t know that when I finally started my career, I would need to be excellent at things other than teaching English. Here’s what I mean: in the last 25 years, I have taught 5th grade (including Family Life), 7th grade English, 7th grade History, Reading, English for English Learners, 8th grade English, 8th grade History, Intervention (that’s the class where they put all the kids no one else can teach in one room and say, ‘teach’), French, Yearbook, Skills (how to ‘do’ school) AVID 8, AVID 9, and Honors English. I think I got everything. But those are just the course titles – that’s not really what I’ve been expected to teach. Because in today’s education system, teachers are expected to do it all – be counselors, nurses, parents, cheerleaders and curriculum leaders, all under the job title of ‘teacher’. I’m wondering if that’s really what most people think this job is about when they dream of being a teacher. I know for sure that I had no idea. Wow. Really? Someone might be focused on who is going to teach your child? Can Teachers Really Be Excellent At Everything? I get it. I know that districts are asked to do many things for many children for many reasons. This takes teaching the ‘whole child’ to a new level, though. Agreed, Andrew. Makes sense – but when have school districts ever been given the ability to run like everyone else runs their companies? School districts are, in my opinion, left to ‘figure it out’ with what we’re given. Depending on the policy of your state, how that flushes out for the students and teachers can vary greatly. The article continues, “We ask school districts to do all manner of things before they even get to their core function of instruction. Even then we ask many of them to manage instruction from kindergarten through high school rather than focus on certain grade levels. It’s not by coincidence that some of the very best charter schools to open over the past two decades focused on bands of grades rather than trying to cover the entire spectrum.” Now I agree with you here. Charter schools have been given some huge leeway to operate in a selective and exclusive manner, leaving the ‘discards’ to the public school system, all while claiming that they are operating in the ‘right’ way. When the author suggests, “Why not, then, unbundle school districts so they can focus on teaching and learning rather than a range of activities they do now for which other entities might be better suited?” I gave a simultaneous shudder and cheer. I agree the focus needs to change to teaching and learning, but will that trickle down to the teaching level? If we ‘unbundle’ the transportation and food and health and sports services, will we just be putting more cooks in the kitchen rather than solving the issues in a bigger, more permanent way? And where do the teachers fit in this ‘unbundle’? Will we still be expected to identify the social, emotional and physical needs of our students, providing band-aids and breakfast and pencils and paper? Will we still be expected to give parental advice about how to motivate their kids to do homework, and arrange for the bus and carpools for our field trips? Will we be freed from the daily lunch count and excusing tardies for those needing to get their free breakfast? When kids come to cry in the classroom at lunch because their stress level is over the top and their parents just don’t understand, will a mental health professional be just a phone call away? 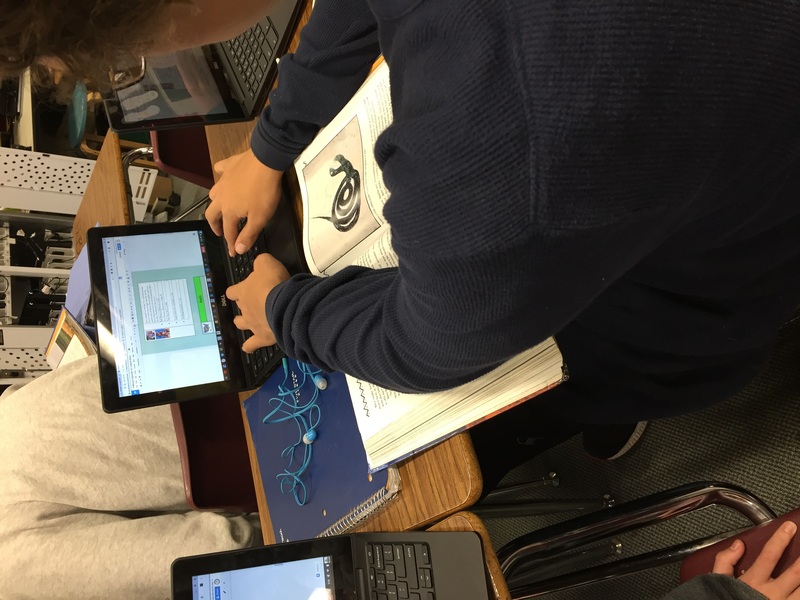 I spend hundreds of hours of unpaid time learning new teaching techniques – like using hyperdocs. Can teachers really be excellent at everything? Or can we expect them to be excellently supported so they can focus on teaching and learning? This question becomes even more timely given the scare tactics of our new administration, willing to offer leadership to someone who has demonstrated no excellence whatsoever as it relates to education. Yes, it is hard to be outstanding at a lot of things at once, and yes, we ask school districts and TEACHERS to be excellent at everything. But mediocrity the norm? I invite you to my classroom, and to the rooms across the hall and around the corner. Mediocrity is nowhere to be found in my school – but it won’t be hard to find tired, overworked and underpaid educators trying to be excellent at everything for everyone in their classroom, every day. This post appeared first here on The Educator’s Room. Check out the site for great writing about teachers, students and education.